Best in class On-Device Bot Development framework powered by Machine Learning. at any level to make your product stand out. Give your mobile and desktop apps the preferred choice of interface - The Natural Language Interface. There is no true alternative to OSCOVA. Oscova is a robust and feature-rich framework that takes care of all the stuff a seasoned programmer would need to develop their intelligent bot. Inspired by today's standards of Bot architectures, Oscova enables development and deployment of complex Bot systems with least effort. With great Bots come great maintainability. Well, that aint true with Oscova. Write beautiful code with OSCOVA's clean design architecture. Stop giving away private user conversation data into the hands of 3rd parties. OSCOVA doesn't require you to connect to any online API. Oscova is a standalone platform independent framework. You can integrate Oscova directly into your app or custom Bot server. Structure and group all relevant intents that belong to a particular topic or scenario under a single Dialog. Know what the user intended by easily mapping user messages to intents with OSCOVA's intelligent intent scoring system. 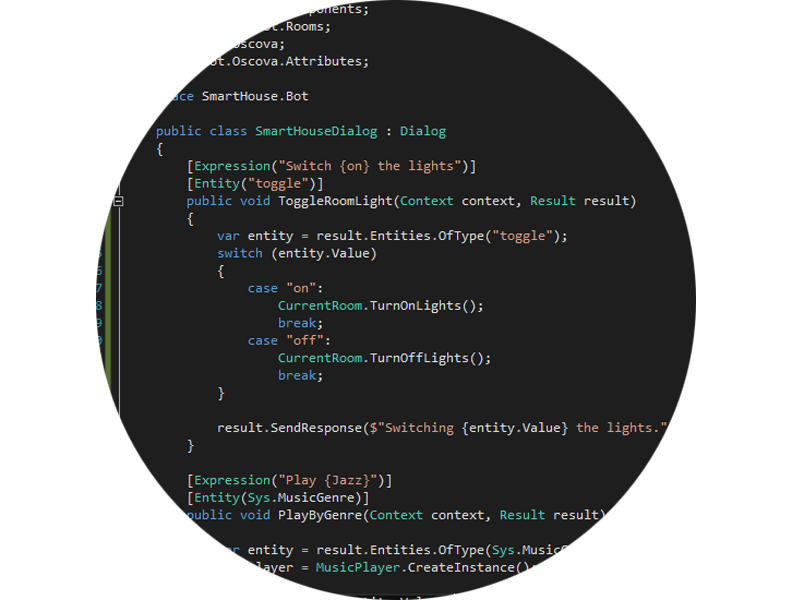 Make use of dozens of OSCOVA's pre-built system entities or create your own by just annotating values in expressions. Easily build custom entity recognizers for Database entries, known words or phrases and even complex patterns. 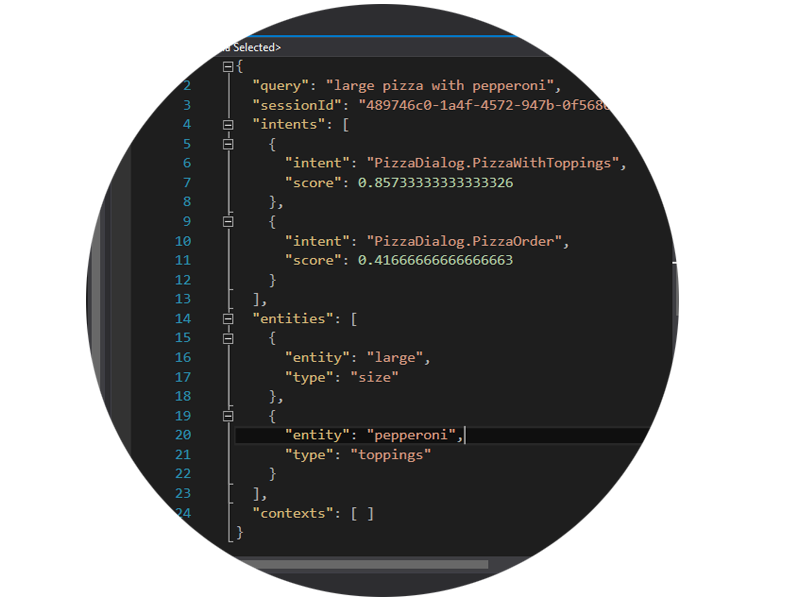 Avoid redundant intent declartion by adding prompt messages for missing entities with just one line of code. Create context aware bots that drive the conversation based on the current context of user session. Advanced in-built Machine Learning that automatically builds intelligent language model on the fly. 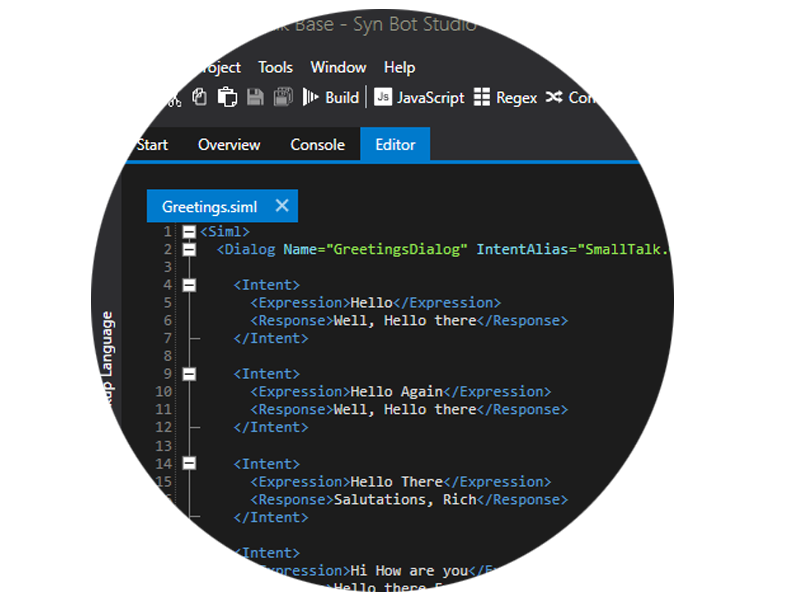 Easily build intelligent small-talk knowledge base in SIML Modern with Syn Bot Studio and import into Oscova. Whether it be Tutorials, API Documentation or Samples we have got your covered in our Developer Network. Watch this video to build your first Hello Bot program in 5 minutes. Oscova Bot development framework is free for personal or open-source project and includes all core Bot development features, regular updates and platform support. For Professional or Enterprise licensing options visit Synthetic Intelligence Network. OSCOVA - Because it's Unmatched. Best in class standalone bot development framework backed by advanced Natural Language Processing and Named Entity Recognition engine. Oscova's uniquely hybrid architecture empowers bot developers to rapidly test and deploy their bots with exceptional semantic intent scoring. OSCOVA is part of Syn Bot Development Framework developed by Synthetic Intelligence Network a brand of REVARN® Cybernetics. An Artificial Intelligence Software development company established in Bangalore. © 2018 OSCOVA. All rights reserved.